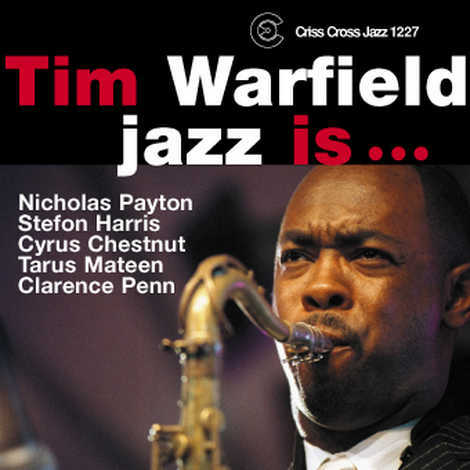 On Jazz Is ... tenorist Tim Warfield convenes a group of instrumental virtuosi who have partnered him on his three previous Criss Cross recordings. The group, this time playing more open and free than on their previous outings, plays with a collective simpatico and fire that can only come from a common set of influences and years of bandstand proximity. On trumpet Nicholas Payton, on vibes Stefon Harris, on piano Cyrus Chestnut, with bassist Tarus Mateen and drummer Clarence Penn.